This is a story of abuse in it’s many forms and life in the care system. Sherree’s story tells of her abuse and the effects it had on her at the time and later in life. How she applied for her social services files so she could find out who she was. Simple details like wanting to know her birth weight to more serious issues as to why she was originally put into care, who her parents were and many other details that Sherree feels will be the final piece in the jigsaw of her life. What she didn’t realise at the time was the huge can of worms that would open as a result of the information she found in her files. Sherree faces many struggles over the years but got to the point where she refused to let her past ruin her future, it had already taken the previous years from her. It wasn’t easy turning her life around but she did it. Sherree still has days where the past clouds her mind and she feels she is back at the beginning of her journey again, but then she gets to work on her feelings again and gets back on her feet. Sherree is not the kind of person to let anything in life beat her. Follow her story which takes you from her birth, up to the present day. 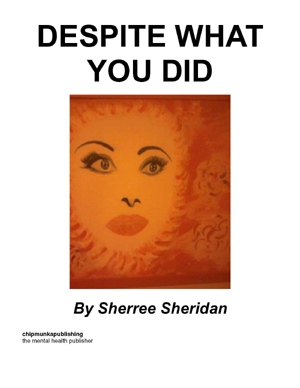 Reading what Sherree went through and the struggles she faced, makes reading that will hit you straight in the heart but then as you read on, you will be uplifted and inspired by how she finally pulled through and changed her life. Sherree Sheridan was born in 1964 in Liverpool. She is now the mother of 2 children. She is a trained therapist and a writer. Her interests include writing fact and fiction novels and poetry, she is also a keen photographer, mainly photographing animals and nature in it’s many forms. Sherree is now putting her experiences to use and trying to help other people who have gone through what she has, or are still going through it at present. I was born in 1964, to somewhat dysfunctional parents. My mother was born in Nottingham, but during her childhood, apparently received psychiatric treatment. My father came from a Liverpudlian/ Irish family and also apparently underwent psychiatric treatment. My parents married on the 10th June 1961. They never settled anywhere long and lived in various parts of the country. Both appeared to have unsettled backgrounds, and I think this clearly had some bearing on the events that took place. 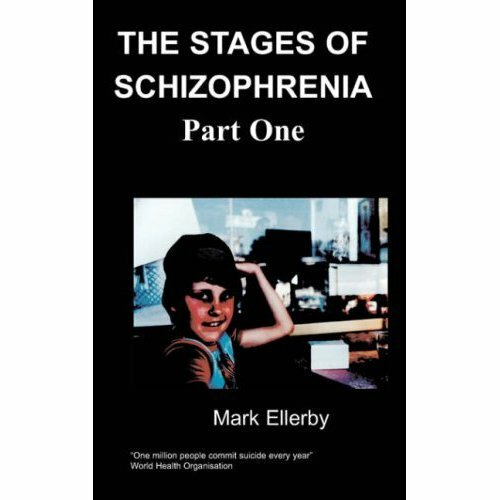 I was taken off my parents at a young age after being physically abused and starved and placed into the care of the local authorities. The first year or so was spent in hospital, from what I can gather, trying to build up my weight and get me back to full health. My earliest memory, however, is being in a children’s home and standing in a line with my older sister whilst future foster parents walked up and down the line looking at the children. Apparently foster parents were discouraged from choosing my sister and I as we were classed as too disturbed. I can vaguely remember someone trying to coax me out of a toilet cubicle as I had shut myself inside hiding away from being ‘viewed’, though I’m not totally sure of my age at this point. My next memory after that is of being put in a car to be taken to see some foster parents. For some reason, the very sight of this particular social worker was enough to have me screaming hysterically and having to be forcefully put into her car. The reaction from me was the same every single time I saw her, though I have no idea why I reacted in this way towards her. Apparently my sister and I went to a few foster homes, each time being brought back as my sister’s behaviour in particular was seen as being too out of control, despite the fact she was just under the age of five. We appeared to be too much for foster carers to take on. I don’t know what happened to my parents during the early years of my life in care, the information on them is sketchy. I know they split up at some point and went on to live their own lives. Though at some point, more siblings came along, two sisters and a brother. By this point though I was in care and my parents had moved on somewhere else, where consequently, the one sister was also taken into care. The other sister and brother died at different times, but under ‘suspicious’ circumstances. I needed to find out who I was, what had happened in the previous years and what had made me who I am today. The search, which would prove to be a long and painful one, began. My grandmother on my father’s side had made a complaint to the police that my mother was abusing us. When social services paid my mother a visit, I was found to have black eyes, bruising on various parts of my body and marks on my bottom. I was taken to the hospital for a check up where it was found I also had a fractured skull. My mother blamed my sister, who would have been around 18 months old at the time. Hardly an age to do all that damage to me. I was also extremely underweight. My mother was admitted to a mental hospital, and then attempted suicide. My sister and I were in Heswall children’s hospital for some time after that.